It’s funny how expectations work. When the HyperX Cloud launched two years ago, it came out of nowhere. 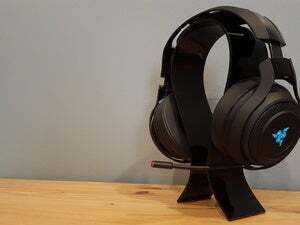 I went in expecting a bottom-barrel headset from Kingston, and instead got a solid low-priced contender that we continue recommending to this very day. So now when HyperX sends me headsets, I just assume they’re good. In the case of the new HyperX Cloud Revolver (which can be found on Amazon), it wasn’t an incorrect assumption—I just don’t think anyone should rush out and replace an original HyperX Cloud. The HyperX Cloud Revolver takes some pretty obvious design inspiration from the SteelSeries Siberia line. While the original HyperX Cloud utilizes a traditional solid headband, the Revolver borrows the suspension-band concept that SteelSeries made iconic. The headset has a metal framework that connects the two earcups, but the only piece that rests on your head is a delicate, elasticized strap of leather that essentially allows the headset to float. It’s damned fancy, albeit with the same main drawback as SteelSeries’s iteration—it feels fragile. In the past, I’ve had a SteelSeries Elite fail because the wiring eventually pulled itself apart, and I’m not the only one who’s encountered that issue. So I’m a bit worried about longevity with the Revolver. There’s also an issue with reverberation. Not reverb, but reverberation: as in, “When you hit the metal headband on something, it vibrates and sends the sound right into your skull.” I learned this lesson when I accidentally hit the frame while scratching an itch and it went off like a tuning fork. You’re bound to notice every little noise—even just your fingers brushing against it when adjusting the headset. Still, the end result is extraordinary comfort. Like, “I forgot I was wearing a headset” comfort—which is, after all, what HyperX is known for. 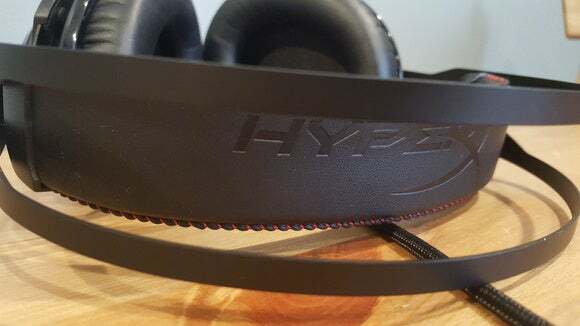 There’s a bit more jaw-pinch than the baseline HyperX Cloud, but I experienced zero soreness on the crown of my head even after hours of use. As for the rest of the design, it should be pretty familiar to HyperX converts. 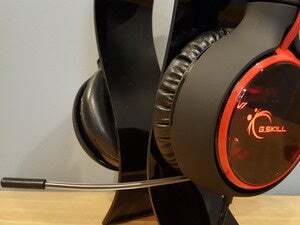 It’s the same black-and-red, gaming-centric color scheme they’ve used since day one, with oversized faux-leather earcups and a detachable microphone. The jet-engine accents on either side are a bit silly, and overall the Revolver is a lot less subtle than its predecessors, but it’s still an attractive-looking headset. And for those of you who hate RGB-lighting and think it’s pointless, good news: HyperX still hasn’t jumped aboard that train. No LEDs here. My one complaint is that HyperX still hasn’t figured out how to do inline controls efficiently. Once again the Revolver ships with a dual 3.5mm PC extension cable and control box, which features a mute switch and volume dial. And while these boxes keep getting more attractive, there’s still room for improvement. A complete rethinking of the approach would be nice, actually. (Personally, I’d prefer controls built into the headset.) Also notable is the absence of the Cloud II’s built-in sound card. Dig into the specs, and you’ll find the Revolver is more than a mere Cloud reskin. It uses new 50mm drivers instead of the 53mm drivers in the original Cloud and Cloud II, and boasts of a “Studio-grade Soundstage” on the box. In practice? It still sounds quite a bit like the original HyperX. In fact, it’s funny to see HyperX talking about improving on the Cloud’s directionality, because it’s one of the original headset’s strongest features. The difference is noticeable, though. Ever-so-slight, but noticeable. That’s especially the case in well-mixed music, where it’s easy to pick out a certain instrument and pay attention to where it seems to be located—the Revolver has a bit more left/right play than the Cloud and Cloud II. This headset also seems to push the mids a bit more, too. Will you notice, day-to-day? Probably not. Both the HyperX Cloud and Revolver are strong headsets, especially in the $100 tier. I’d give the Revolver the edge, but it’s also $50 more. That said, if you care about the infinitesimal difference in quality between the Cloud and Revolver, you’re probably better off buying real headphones instead of a gaming headset. 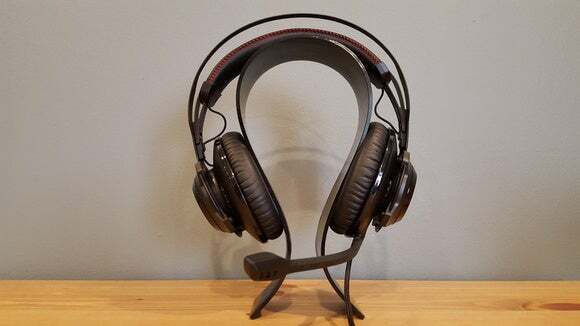 Mic quality is about the same as any other HyperX headset—or, in other words, not that great. Without a USB sound card, the Revolver lacks the Cloud II’s software-side noise cancellation, and the mic is pretty bad at filtering out plosives. It’s loud and clear enough for online gaming—all that really matters—but this is another area where Kingston desperately needs to improve. There’s apparently a version of the Revolver coming soon with 7.1 support and (I assume) noise cancellation for the microphone—think of it like the Revolver II. If you’re interested in the Revolver, I’d recommend waiting for the updated model, if only because this headset’s mic is subpar. Since you’re already spending more on the Revolver than either the Cloud or Cloud II, you might as well get the best version possible. The biggest problem with the HyperX Cloud line is that it hit such a high point the first time around. Great performance, cheap price—it’s hard to top that. 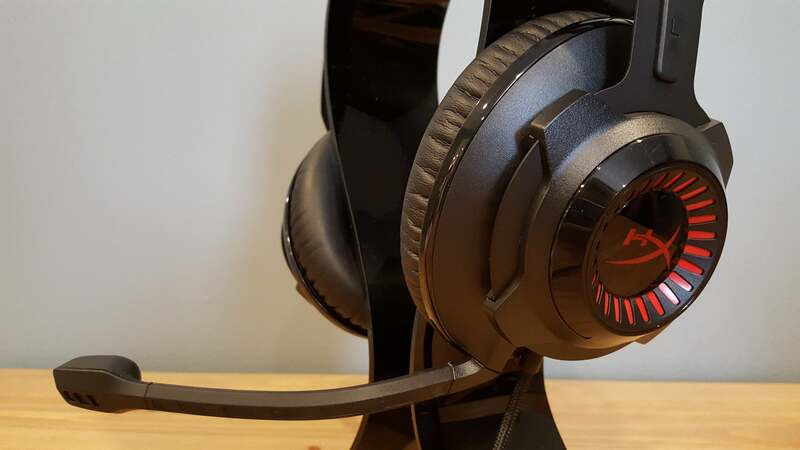 The HyperX Cloud Revolver isn’t a bad headset—it’s more comfortable than the original HyperX, albeit barely, and has a stunning, if borrowed, new look. There’s just not much reason to buy it over the original HyperX Cloud or Cloud II, though. The audio’s improved, sure, but probably not enough to justify paying $50 more. 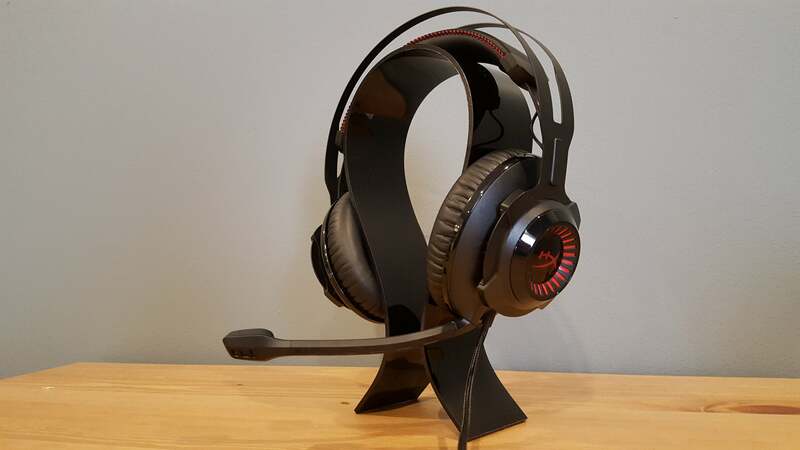 At that point, you’re in a whole different (and crowded) tier of headsets. 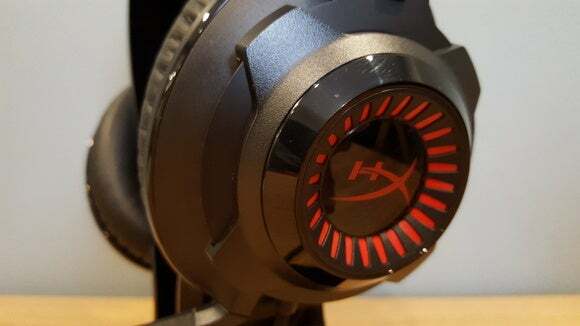 The HyperX Cloud Revolver is a good headset, but its higher price tag eliminates most reasons to buy it instead of the original HyperX Cloud or Cloud II.